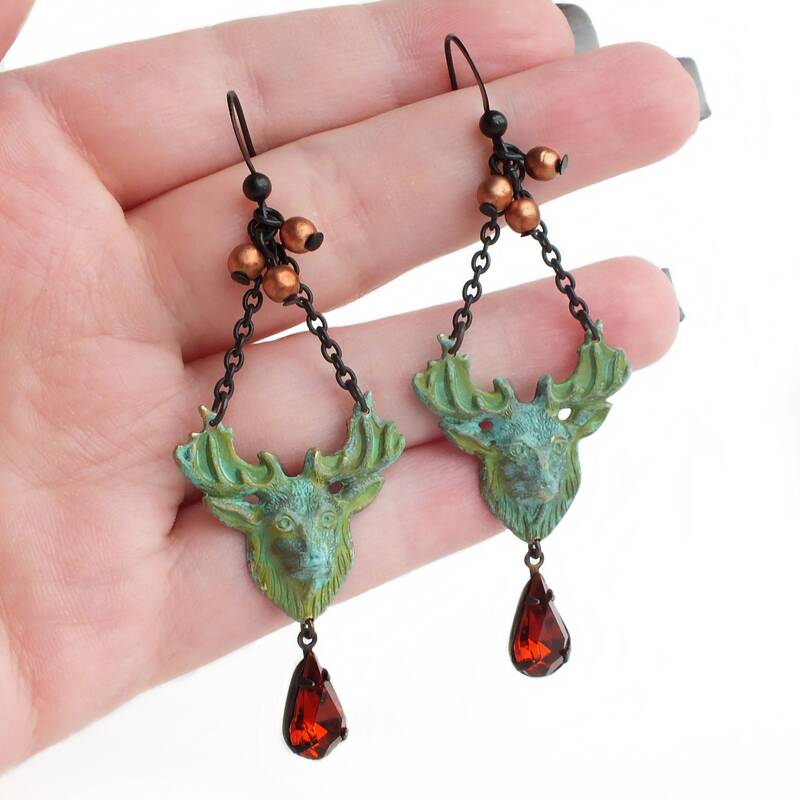 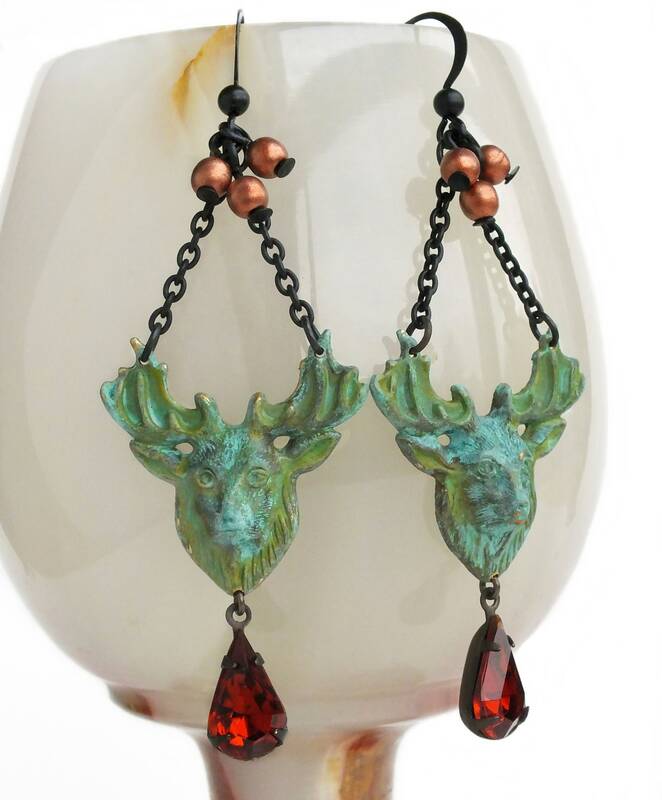 Handmade Christmas deer earrings with verdigris deer and vintage glass rhinestones. 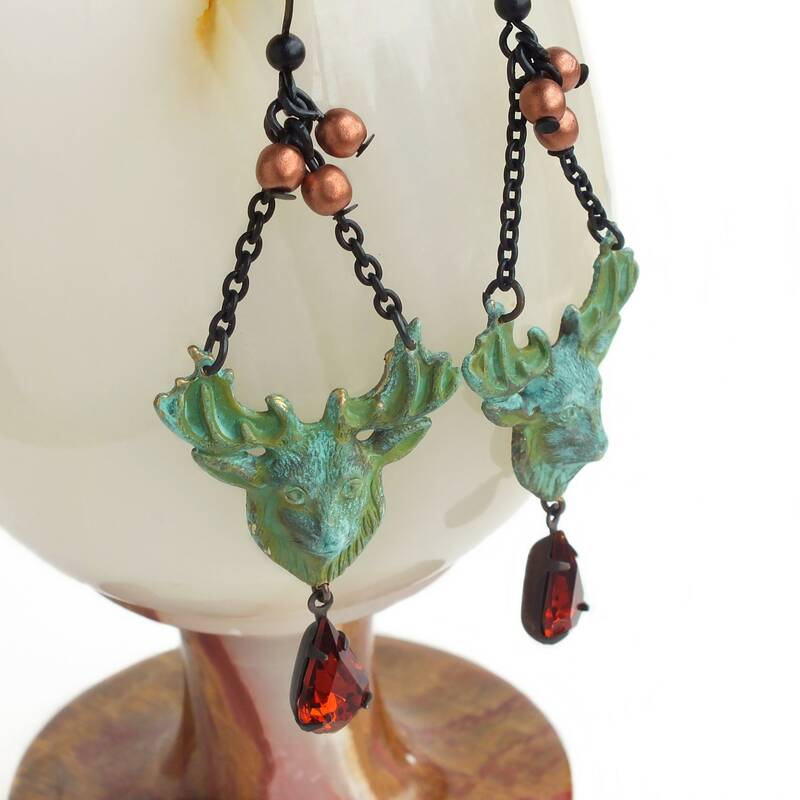 US made high quality brass chain, settings and ear wires. 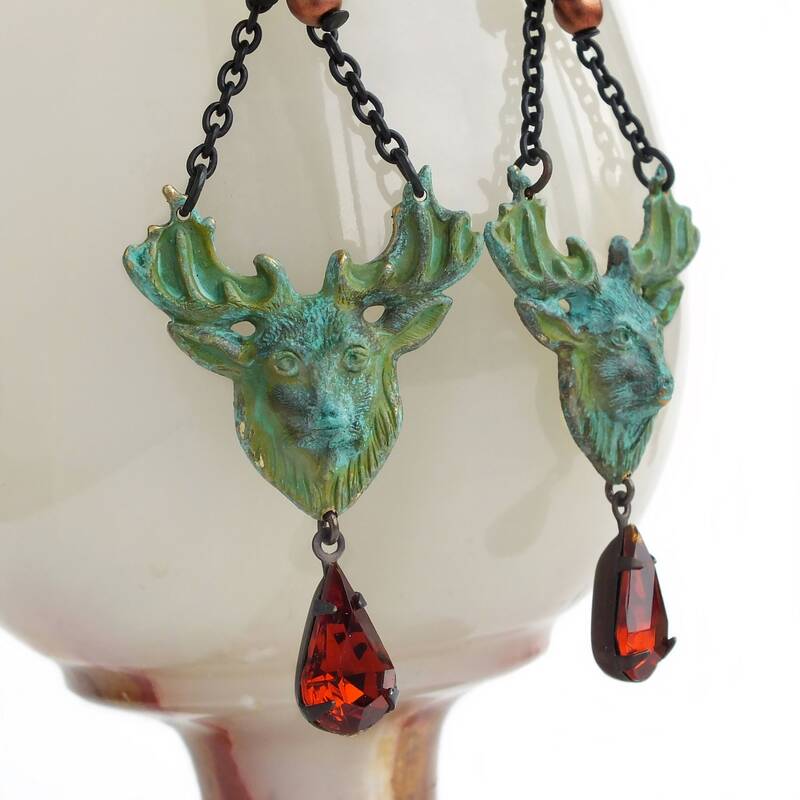 Victorian woodland animal earrings made with intricate dimensional brass deer antiqued to a verdigris patina. 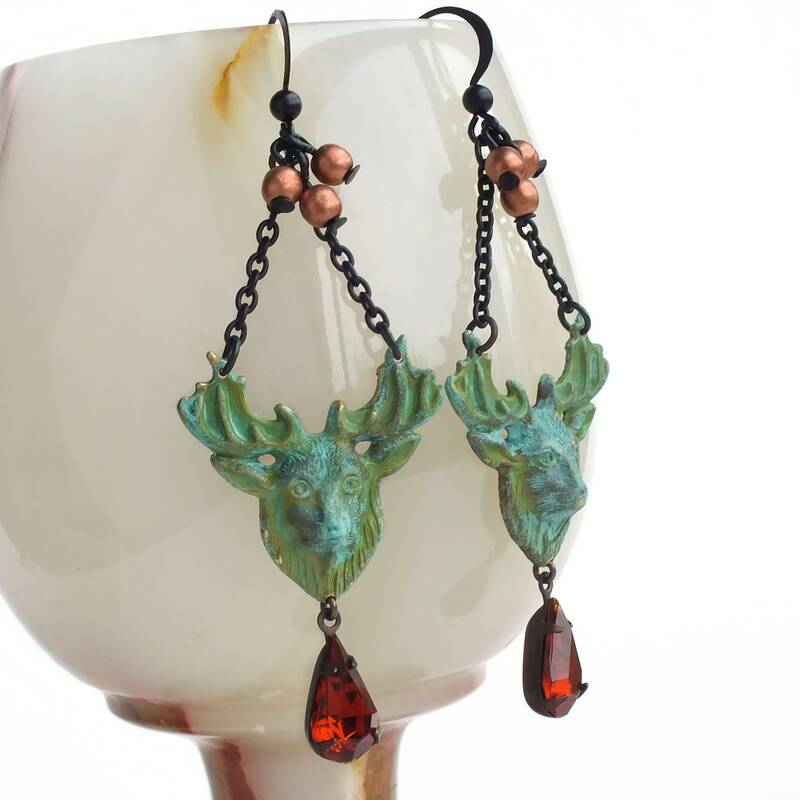 Adorned with vintage root beer colored glass rhinestones and matte copper Czech glass beads.